As CES came to a close last week, the major themes around 5G, data transparency in the age of GDPR, TV innovation and OTT measurement still remain top of mind for most. 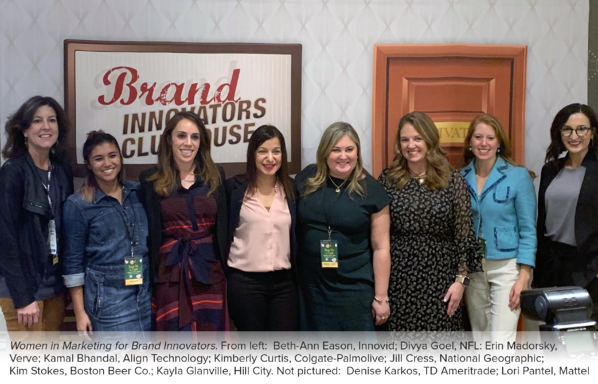 Our team was there in full force, meeting with brands, partners and technology providers discussing the major themes and trends that will shape 2019 in terms of video advertising on all screens. 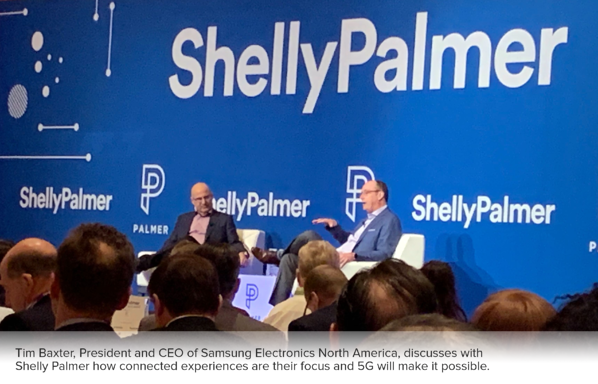 At Shelly Palmer’s Media and Tech Trends Breakfast, Tim Baxter, President and CEO of Samsung Electronics North America spoke in depth about what 5G means, and how it will shape business models, creating more opportunities. It was only a few years ago that 5G was first conceptualized and thought of as being available in 2021 -- and yet, it is here today. 5G is a once-in-a-decade situation that poses opportunities and threats with a whole new set of use cases. This is definitely a trend to pay close attention to in the coming year. We are now embarking on a GDPR world, and even Apple got into the CES discussion with their highly controversial billboard around privacy. It was a topic that came up frequently in panel discussions and all our meetings - on how best to handle data-driven, relevant experiences for consumers in a privacy-safe world. The short answer is trust and value exchange. Consumers will demand clarity of what they share but will permit if there is value exchange. They will put their trust into a few places where they feel protected (think TV subscriptions for Hulu and Amazon) and are gaining a better viewing and/or shopping experience. While some may adjust their data collection and attribution techniques in the short-term, the struggle continues in search of a trusted, accurate and ubiquitous universal ID so companies can truly talk to each other while protecting user privacy. TV innovation was at the forefront of the show - new products, new screens, new technology -- all gearing up towards a better experience in the living room for consumers. Advertising on TV is very much the same today as it has been for the past 70 years, but it’s going through an evolution wrought with challenges and opportunities for brands, broadcasters, device manufacturers and consumers alike. OTT measurement is all the rage, specifically deduplicated reach & frequency. We heard from our customers the challenges that exist with traditional measurement companies having an “OTT blindspot,” and how they are looking for partners or solutions to fill that gap. Innovid’s MRC accreditation for OTT was a big topic of discussion in how and what this means for them. Tied to the future of TV advertising, performance-based marketing is very en-vogue right now. Marketers want to be able to attribute their impressions to business outcomes, further echoing the need for measurement across all screens, specifically with OTT taking more of the digital video advertising pie. And when there is a value exchange, viewers are leaning in. 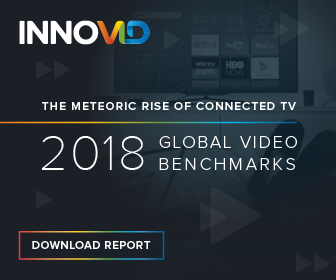 As I wrote in an earlier post, in Q4 2018 alone, Innovid saw a 304% higher engagement rate with OTT TV than video viewed on desktop or mobile. The OTT marketplace is growing and if you haven’t focused on OTT in the past, this is the year you will have to. I’m always inspired (a little tired) but mostly energized about the possibilities for the year ahead after attending CES. I am look forward to 2019 with an eye towards innovation in the living room and how we can help marketers and publishers succeed in this transformational time for TV advertising. On a personal note, I had asked my 18 year old son - an engineering student - to join me at CES for the first time. His insights provide an interesting perspective on the new consumer we are all collectively looking to engage. His thoughts will be shared on our blog in the coming days and I encourage you to check it out.